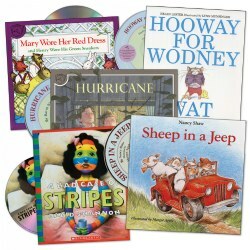 Add informative book sets to your classroom library. 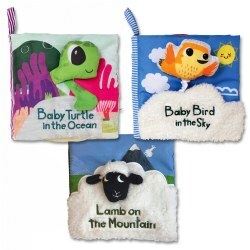 Each set is designed with a specific grade or reading level in mind to aid in reading skill development. 3 years & up. 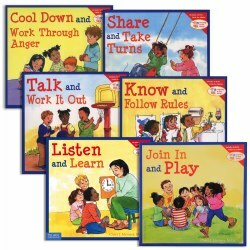 The books in this set gives children a realistic insight into the working day of adults. 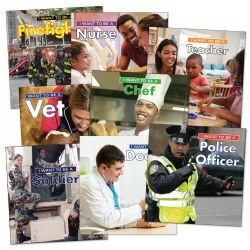 Easy-to-read captions and color photographs of men and women from different cultures help children understand what's involved in each occupation. Children learn all about what it takes to do an interesting job well. Along the way, they appreciate the contributions these workers make to our lives and the world around us. 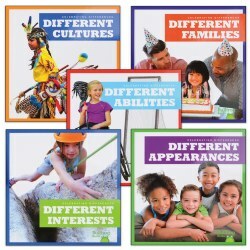 Explore with this book set the ways we are alike and different by exploring family identities, values and responsibilities. Hardback/paperback combination. Set of 8. 3 years & up. 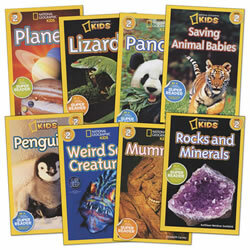 Introduce children to the exciting world of science with familiar topics. 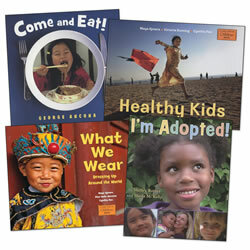 Each book uses simple text and includes beautiful photography and facts. Set of 5 paperback books. 4 years & up. 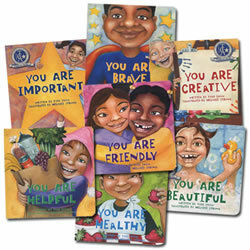 Even children have obstacles to overcome and this book set is actually honest, light, and direct. With issues ranging from asthma, diabetes, autism, Down's syndrome, handicapped, blind and poor eyesight. 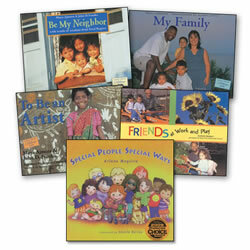 Each book has a desire for all children to learn and play, and to be accepted for themselves as other children are. Birth - 3 years. 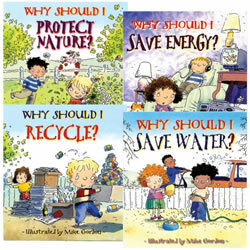 This series of colorful, real picture board books, introduce children to STEAM concepts. Educators are prompted to ask questions and engage children in conversation, guided by each of the STEAM domains. 3 years & up. 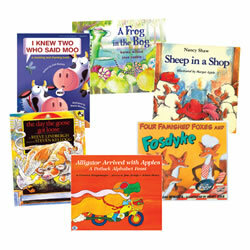 Ideal for classrooms, this economical set combines 7 diverse titles for a range of cultural classroom experiences. 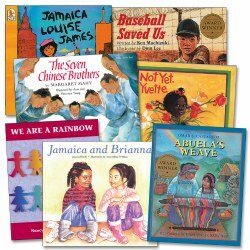 Titles included: Not Yet Yvette, Abuela's Weave, Baseball Saved Us, We Are A Rainbow, Jamaica and Brianna, The Seven Chinese Brothers, and Jamaica Louise James. Paperback. Set of 7 books. 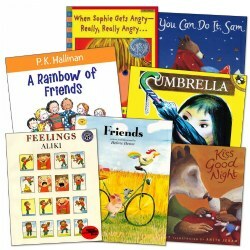 Rhyming stories provide opportunities to read with emotion, change of inflection of the voice, and focus on the sounds in words. Paperback. 4 - 8 years. 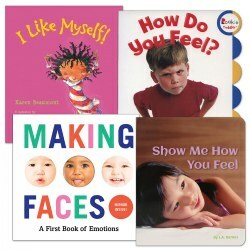 This series helps children learn, understand, and practice basic social and emotional skills. 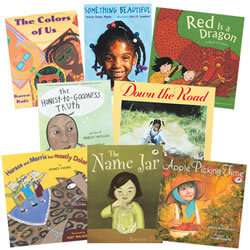 Each book contains real-life situations, lots of diversity, and concrete examples. Set of 6 paperback books have 40 pages each. 2 years & up. 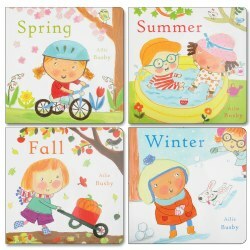 This book set celebrates each of the four seasons throughout the year. 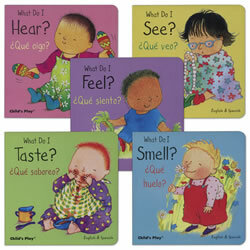 Each book is filled with simple text and intriguing images that reveal information for the early learners. 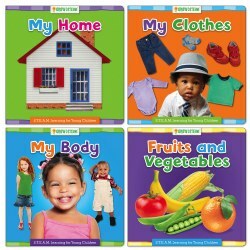 Set of 4 board books. 12 months & up. This is the perfect early concept board book set for the classroom featuring split-pages which encourage little ones to find the bottom half of a page that matches the top half. 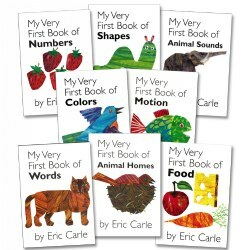 Children will love solving these color puzzles featuring Eric Carle's bold and vibrant artwork. 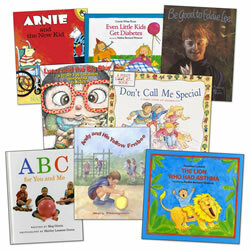 All eight books introduce a wonderful learning experience, both fun and entertaining. 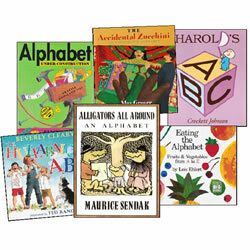 Learning the alphabet is easy when children follow the rhymes and stories in this fun collection. Hardback/paperback combination. Set of 6. Meet Pete, the groovy blue cat. He likes movin', groovin', and schoolin'. No matter where he goes, Pete the Cat always keeps his cool. 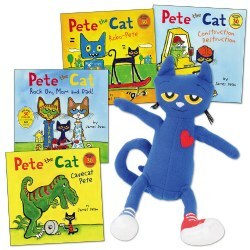 This book set comes with a plush Pete (14 1/2") who has big feet, floppy legs, wry smile, and a big heart--what classroom could want anything more? Grades PreK - 1. 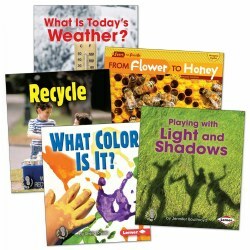 This high-interest, educationally vetted series of beginning readers features the magnificent images of National Geographic, accompanied by texts written by experienced, skilled children's book authors. Set of 8. 3 years & up. This collection highlights the many ways that people of all abilities and varying cultures make our world such a special place. Hardback and paperback. 3 years & up. 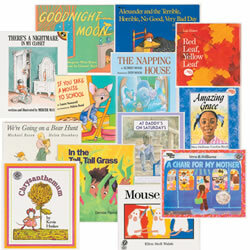 This set of entertaining read-along stories will encourage children's imagination and development of listening skills. Great for the listening center! Set of 5.